Within the neighborhood's boundaries, potential home buyers will also find a rich collection of stately brownstones and expensive single-family homes, helping make this part of downtown Chicago one of the more expensive places to begin a new home or condo search. While strolling down the pleasant tree-lined streets, the extraordinary vintage architecture tends to be what stands out most in the Gold Coast, although a wave of newly developed condo buildings has also swept through this part of the city in recent years, giving buyers plenty of options and opportunities at finding something that sits their style and personality. So in many ways, the Gold Coast real estate landscape as a whole spans the full trajectory of Chicago history, from late 19th century mansions to sleek contemporary high-rises. The beautiful Gold Coast Chicago neighborhood could be considered something of a public museum for architecture aficionados. Whether you're seeking a premier condominium overlooking the lake in a full amenity building or simply a quiet nook above one of many tree-lined streets, the Gold Coast has your perfect spot. Spacious townhomes accommodate growing families, while individual residents may pick from a variety of one-bedroom and convertible apartments. Between the Magnificent Mile and a variety of small boutiques, the Gold Coast features perhaps the best shopping in the city. The dining scene caters to a wide range of tastes including the infamous Steak Houses that line Rush Streets "Viagra Traingle", to the French Bistors and Pizza Palors and of course the famous Signature Room atop the John Hancock Tower just down the street. Need to Sell Your Gold Coast Home or Condo? If you're looking to sell your Gold Coast home or condo in today's ultra-competitive market, contact Gold Coast Realty to learn more about how we can get your property sold fast, and for the price you need! Already have a good idea of what you're looking for in Chicago’s fabulous Gold Coast neighborhood? Narrow down your options and only browse exactly what it is you want! And if you don't see what you're looking for below, let us know and we'll set you up on a custom search that sends MLS listings that meet your search criteria straight to your inbox. While luxury real estate in the Gold Coast may be defined by brownstones and upscale single-family homes, there's certainly no shortage of high-end condos in the area as well. But regardless of your budget, there's a great variety of condos for sale in the Gold Coast that should be suitable for just about any home buyer out there. To take a closer look at what's available in some of the neighborhood's most sought after buildings, click on a location or address below to begin browsing listings. 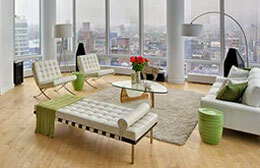 WANT TO SEARCH MORE GOLD COAST CONDO BUILDINGS? Chicago’s affluent Gold Coast neighborhood couldn’t offer a better location to potential home buyers. And although you could say that about nearly any downtown Chicago neighborhood, in the Gold Coast it really is true. Situated just north of Streeterville, the Gold Coast conveniently sits just off the beautiful shores of Lake Michigan, allowing for many Gold Coast condos for sale to feature unbelievable views of the water and the city’s stunning lakefront parks and beaches. 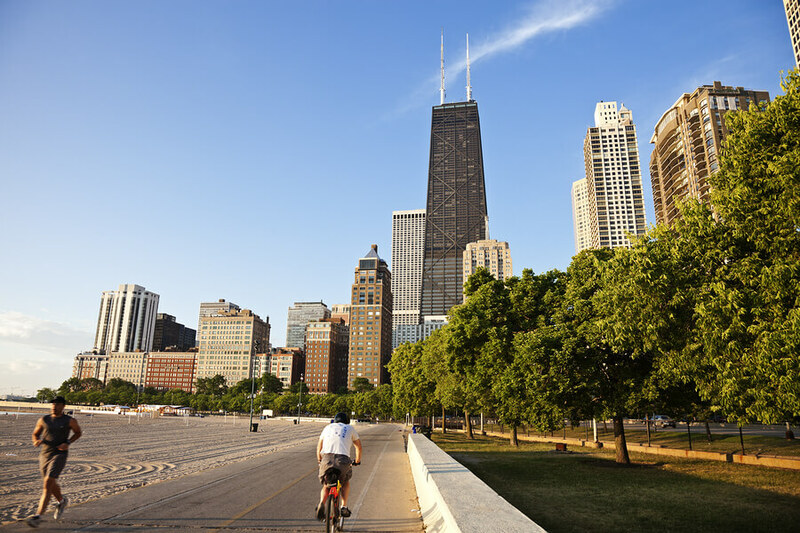 For those new to the area, the Gold Coast is defined by the area in between Oak Street and East Lake Shore Drive to the south, North Avenue to the north, Lake Michigan to the east, and Clark Street to the west. 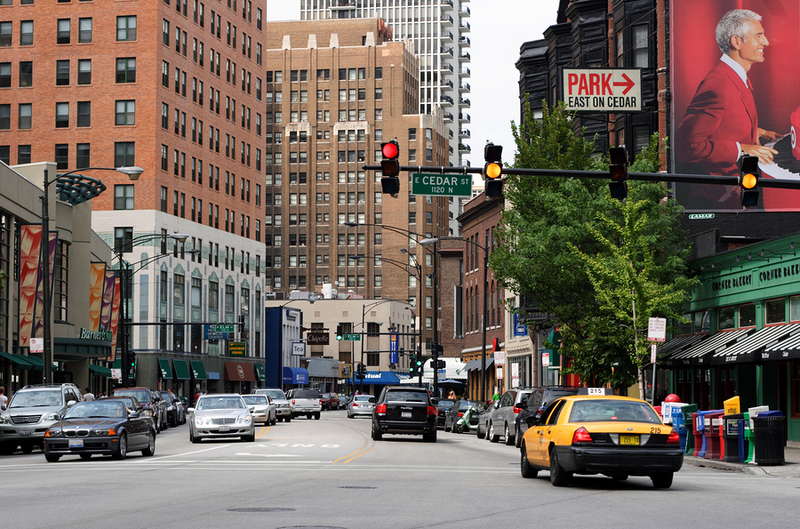 Nearby amenities and attractions are plentiful, but the close proximity to Michigan Avenue, the Oak Street Shopping District, and the abundance of nightlife along Division Street certainly stand out the most. As alluded to above, Gold Coast real estate for sale is as diverse as the city in which it’s located. Brownstones and luxurious single-family homes and mansions occupy a significant portion of the interior streets, but along the lakefront, it’s all about high-rise condos with a view. And if you’re somebody who appreciates a classic vintage feel on both the inside and outside of a building, you’ll love all the possibilities that surround the entire Gold Coast neighborhood, not just on the lakefront. Towards the top of this page, we mentioned some of the most luxurious condo buildings in the Gold Coast, like Waldorf Astoria, 10 E. Delaware, and 50 E. Chestnut. And while each of these locations certainly have a lot to offer, if you’re looking to stay right on the lakefront, some of the more highly sought after buildings include 1040 N. Lake Shore Drive (The Carlyle), 1240 N. Lake Shore Drive, 1300 N. Lake Shore Drive, and the historic 1540 N. Lake Shore Drive. But the list certainly doesn’t stop there. For a closer look at other Gold Coast condo buildings and real estate for sale, contact our local Gold Coast real estate experts at Gold Coast Realty today at (312) 280-9600! Looking for more information about the Gold Coast neighborhood? There’s much more to the area than just condos and brownstones, so whether you’re in search of a townhome, a single-family home, or even Gold Coast commercial real estate, our agents are here to help you navigate today’s real estate market not just in the Gold Coast, but all over downtown Chicago! So contact us today! Mike Larson was able to find an apartment that fit my preferences immediately after weeks of searching Chicago with other agents/brokers. REQUEST HIM. He made…	Marley C.